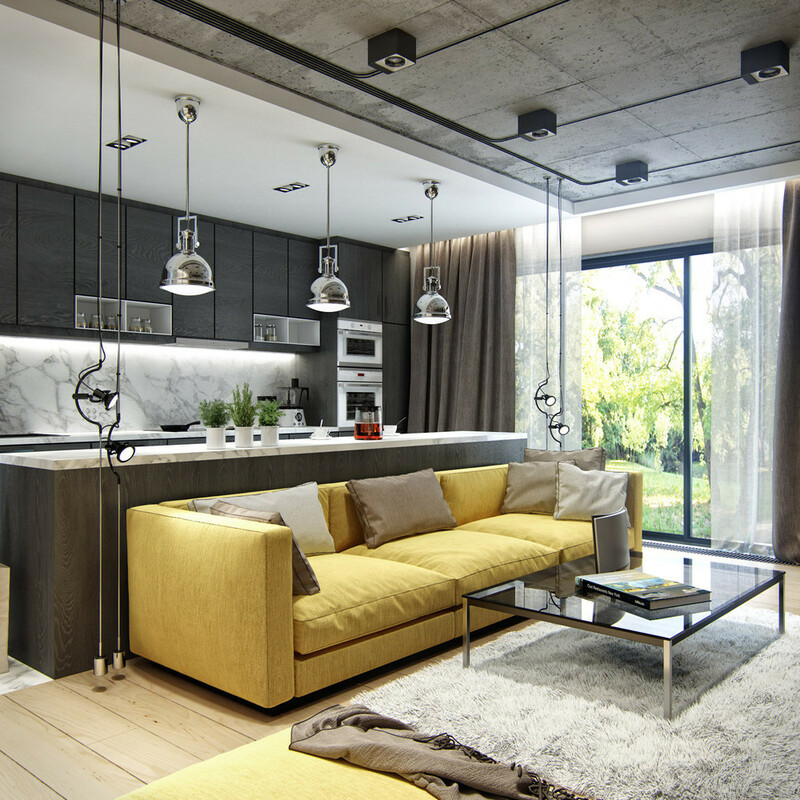 Stylish concrete ceilings are not a weekend DIY contender but they're well worth the effort! 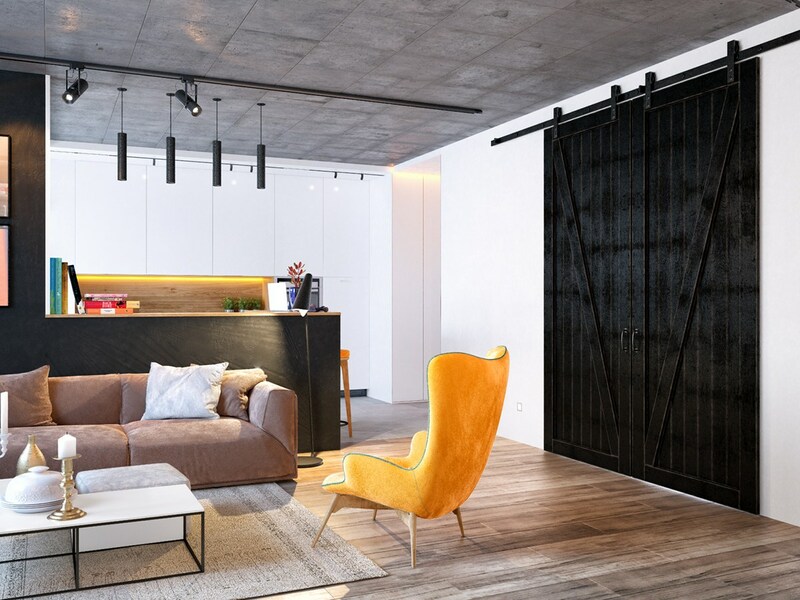 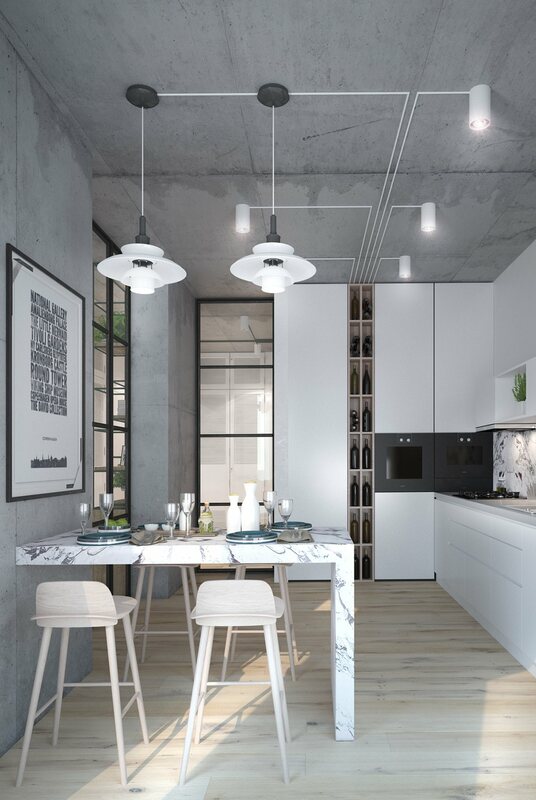 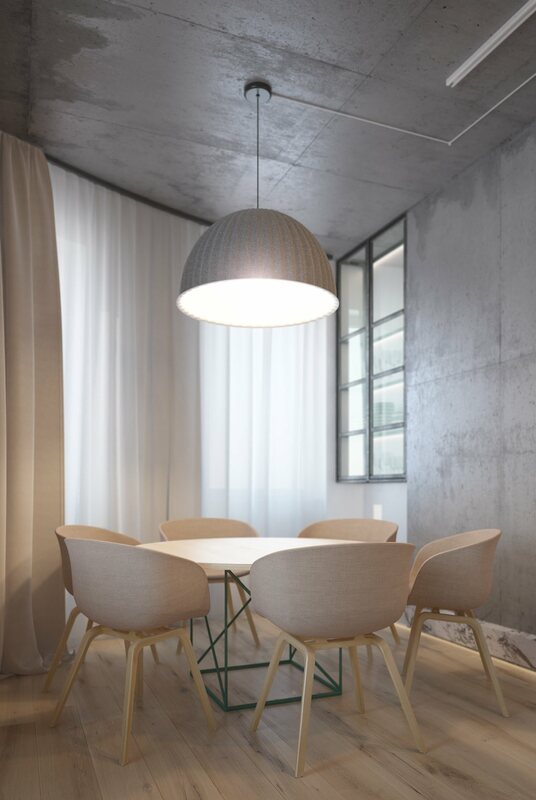 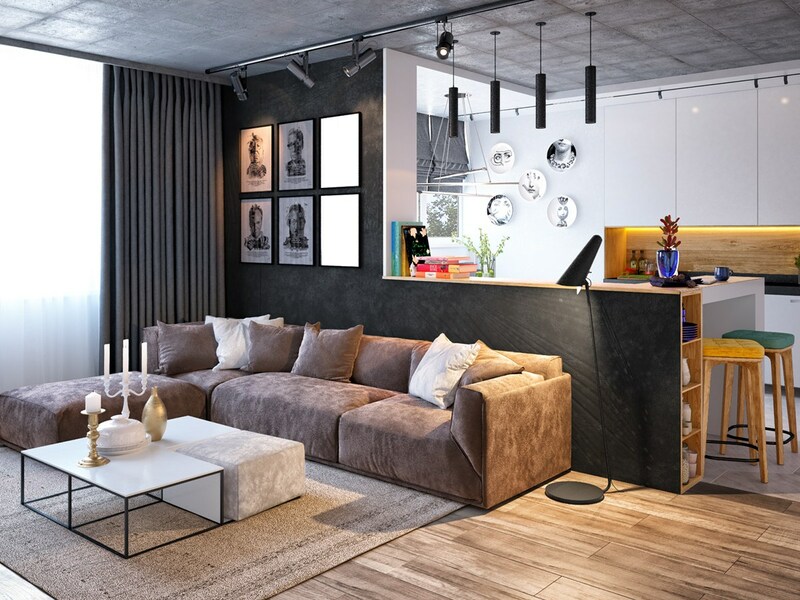 Once considered to be an unfinished feature, carefully crafted concrete ceilings have become a desirable element in many modern homes that truly embrace the warehouse-like atmosphere of industrial conversions. 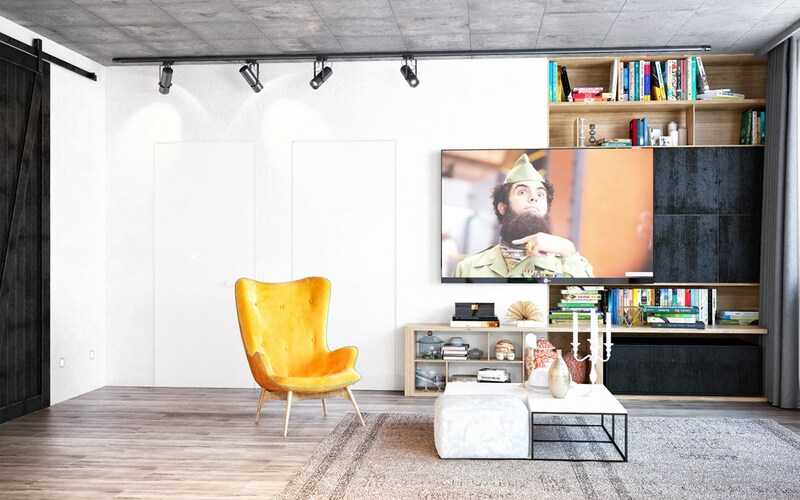 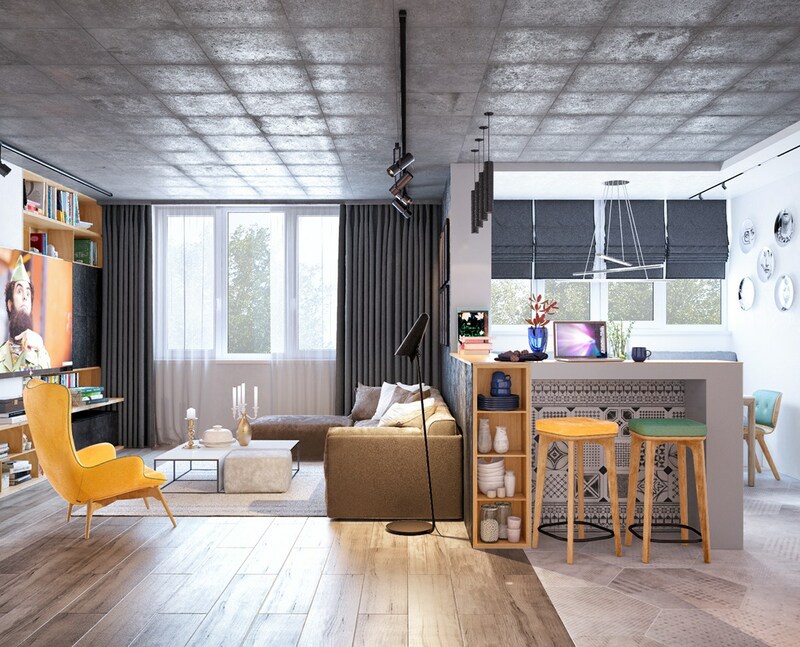 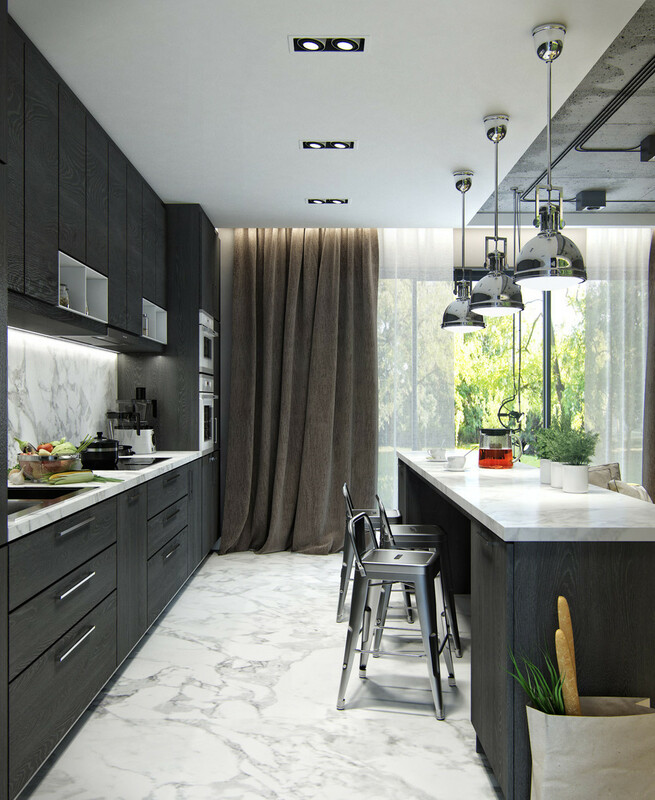 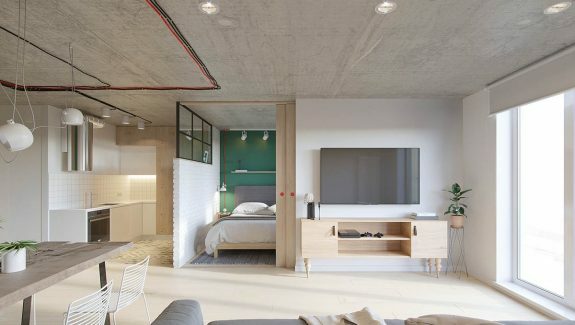 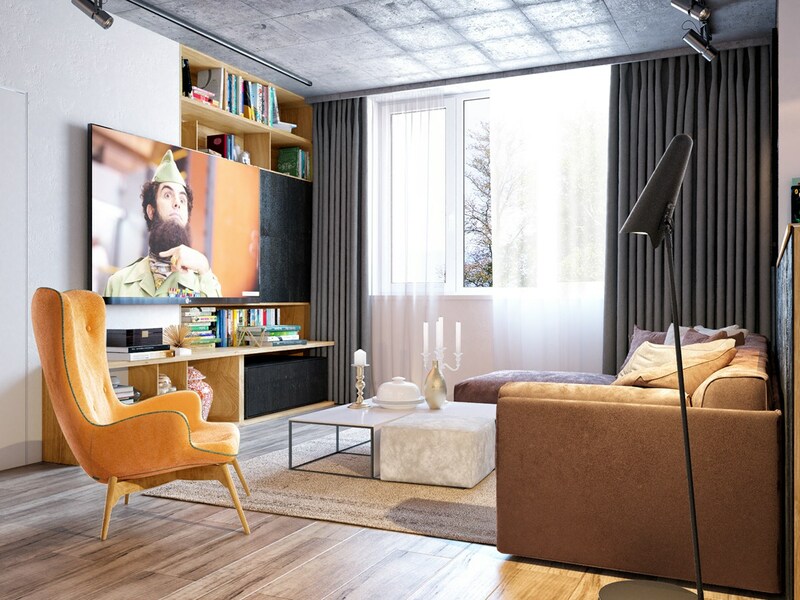 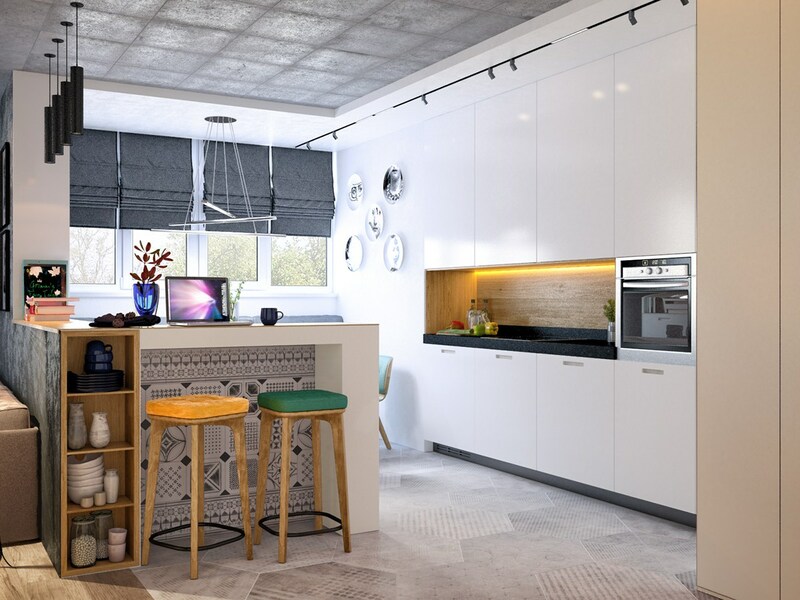 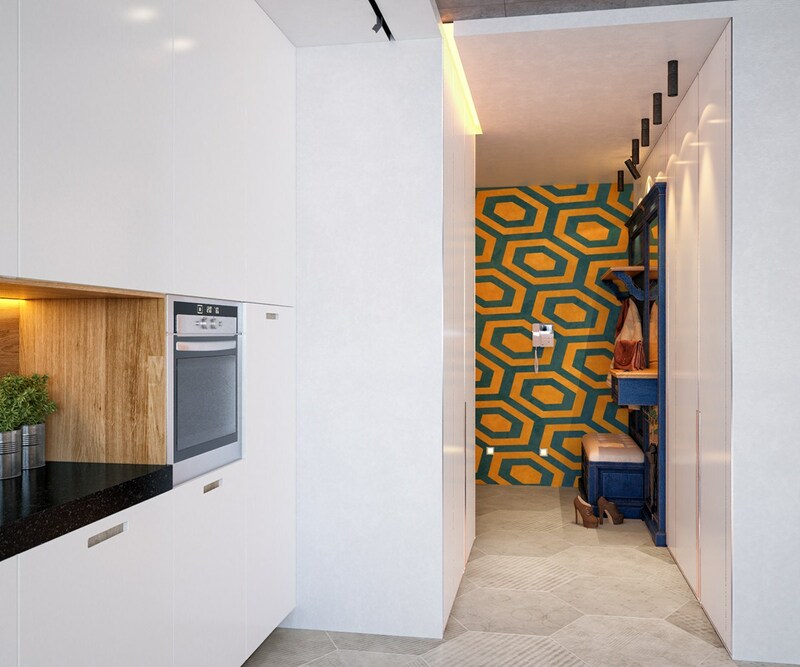 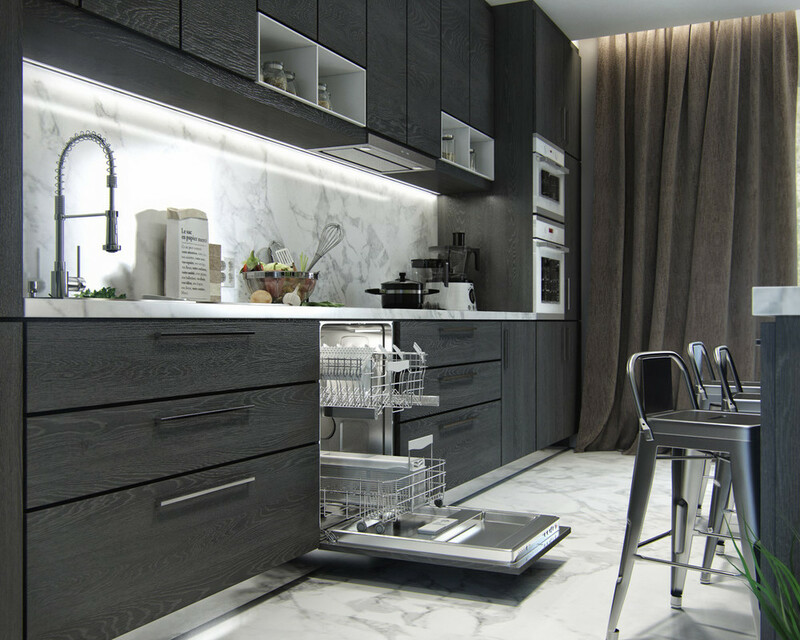 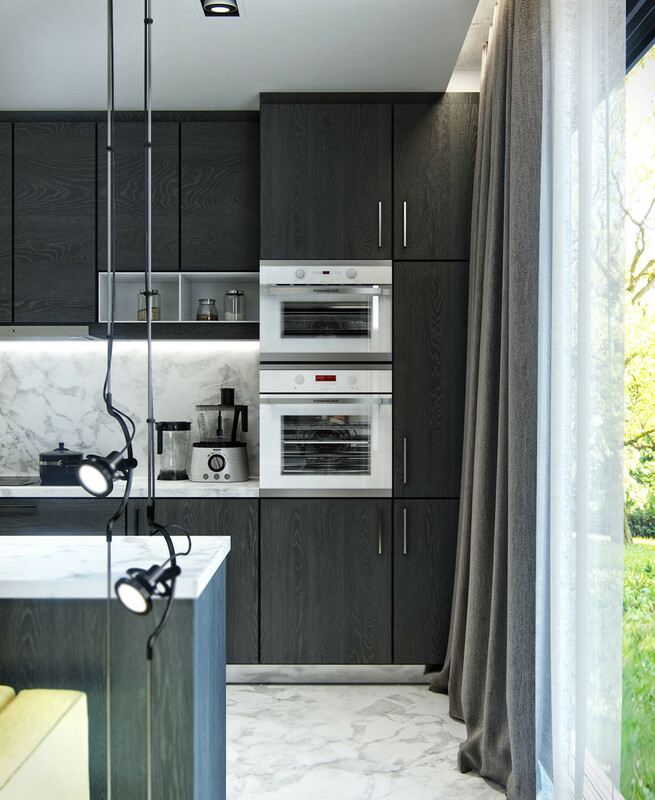 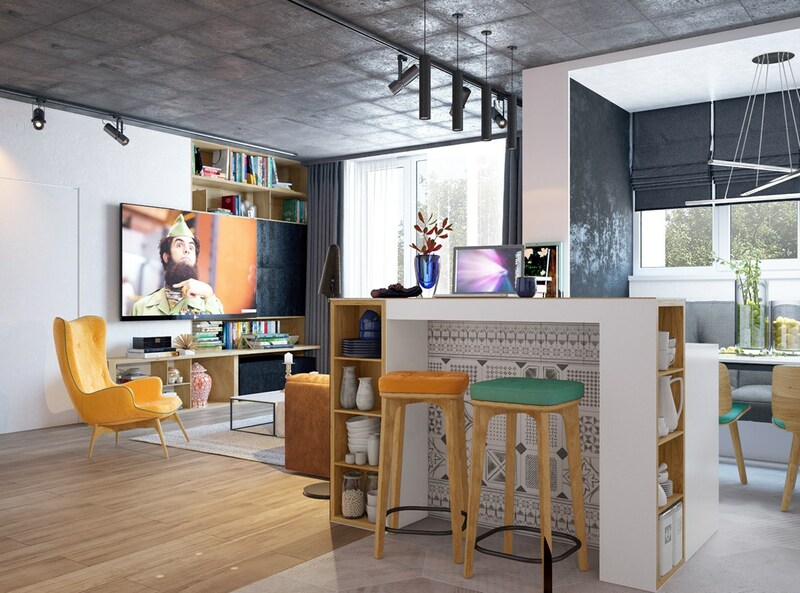 This post will introduce you to three homes that each feature bold concrete ceilings balanced by traditional wood floors – a workable compromise for anyone who isn't quite ready to jump into the world of minimalist lofts just yet. 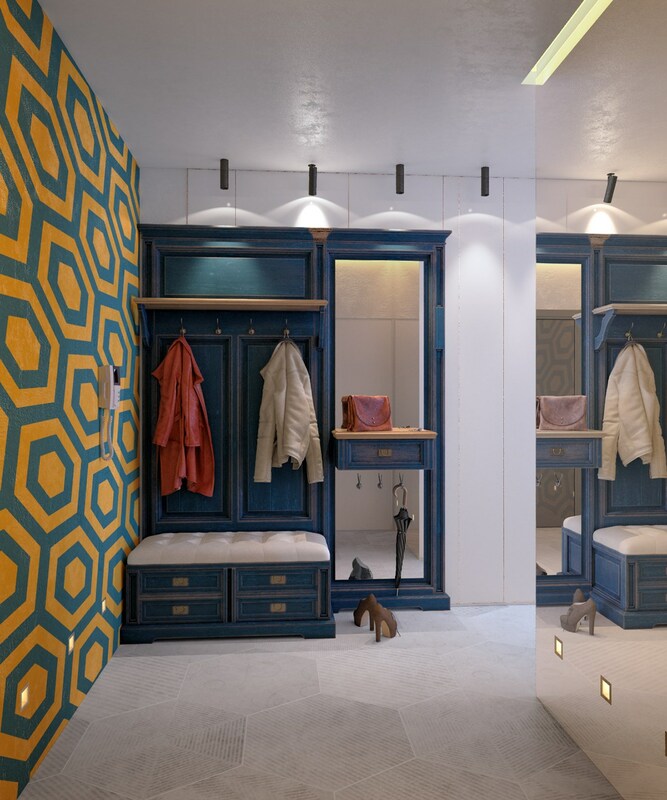 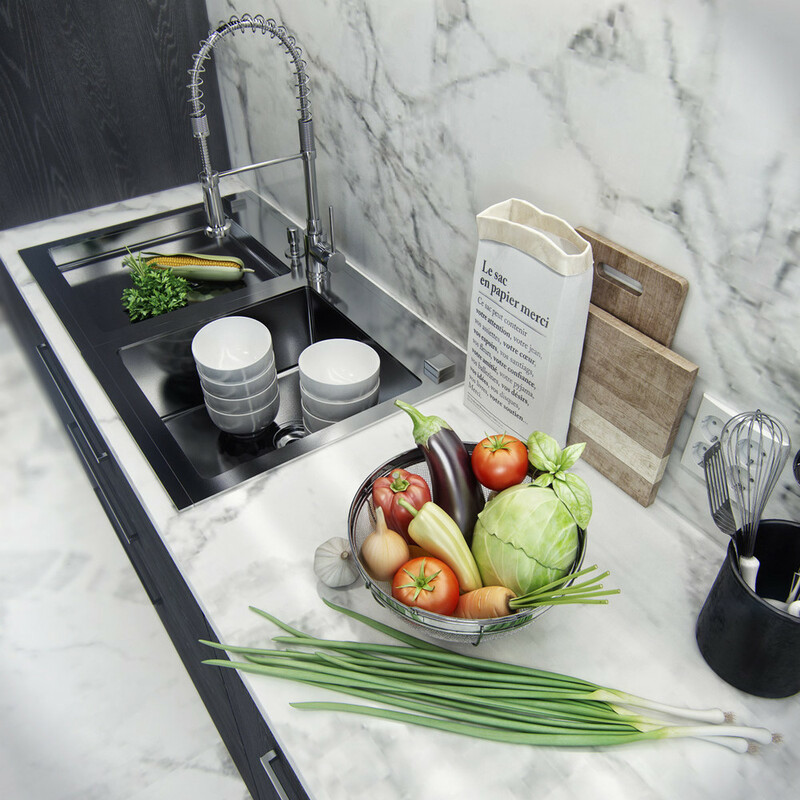 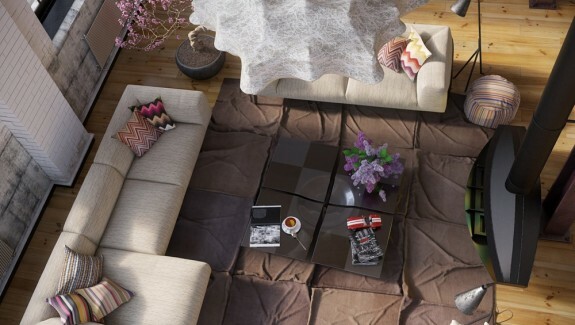 Do you already have these gorgeous materials in your interior? 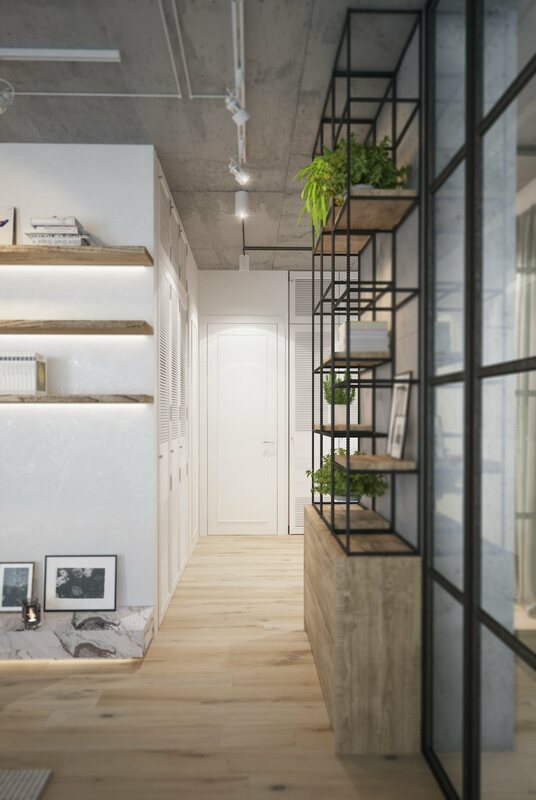 Just check out these ideas! 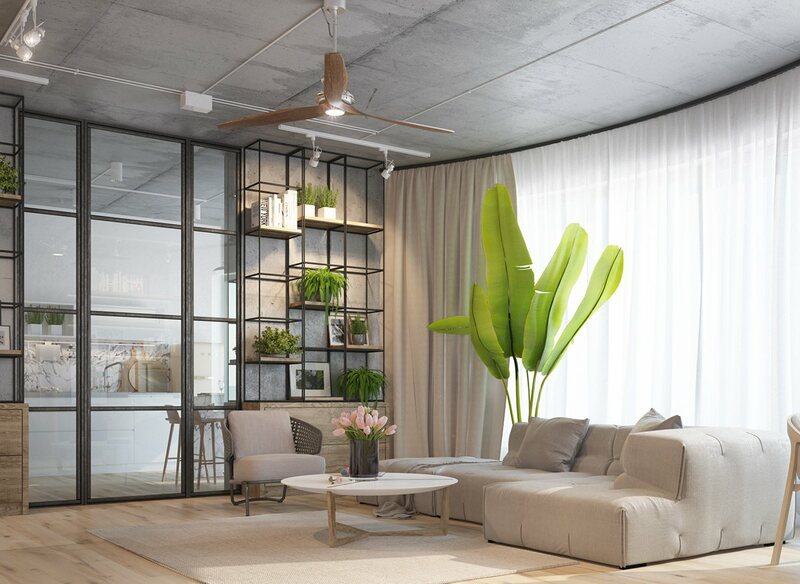 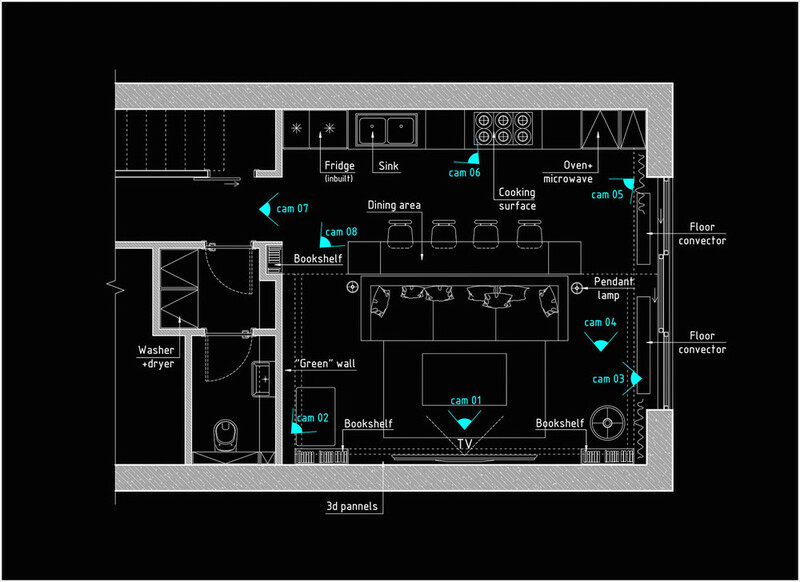 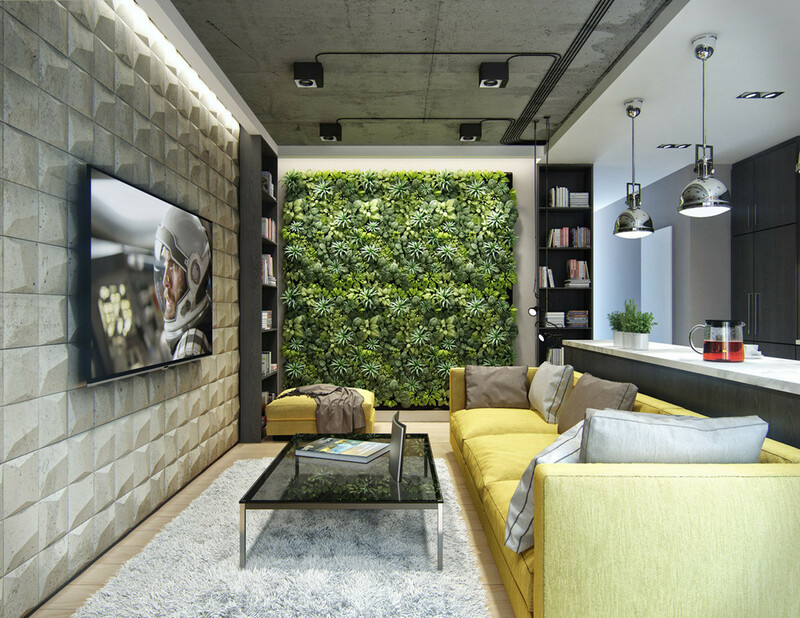 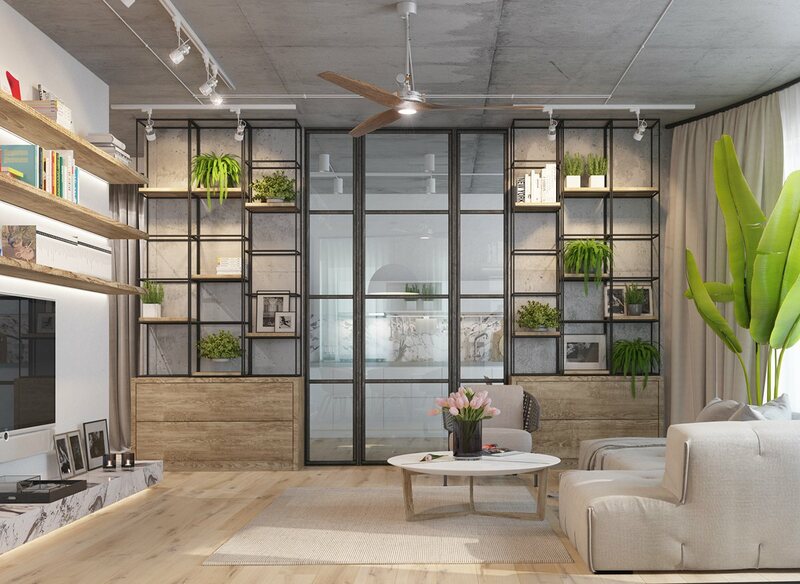 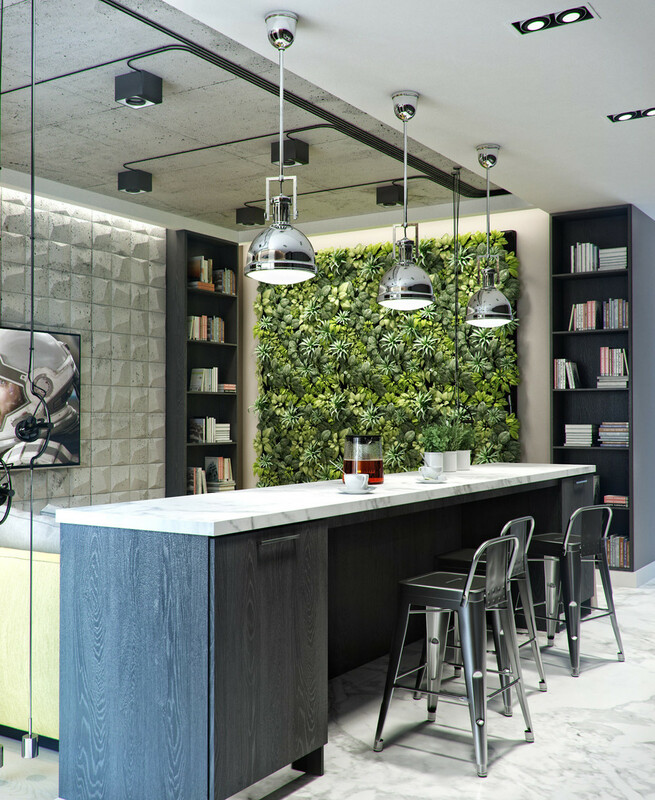 This spacious home makes good use of industrial accents contrasted against verdant plants and natural wood floors. 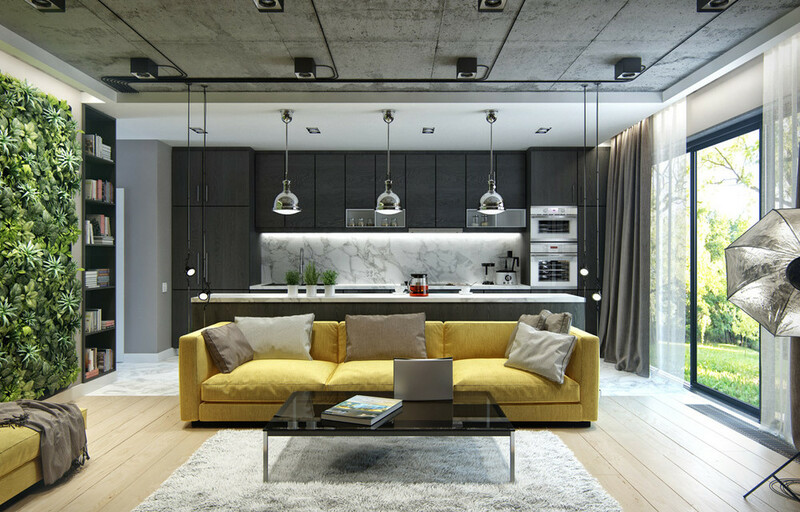 Neutral furniture seems to blend seamlessly into the background, allowing the stunning architectural elements to take center stage. 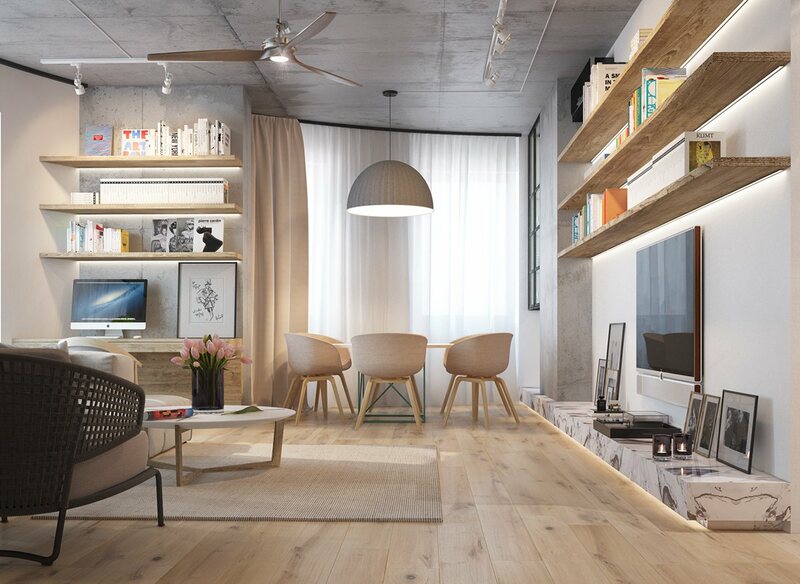 Neither the wood floors nor concrete ceiling seem to dominate the interior theme thanks to careful attention paid to balance.